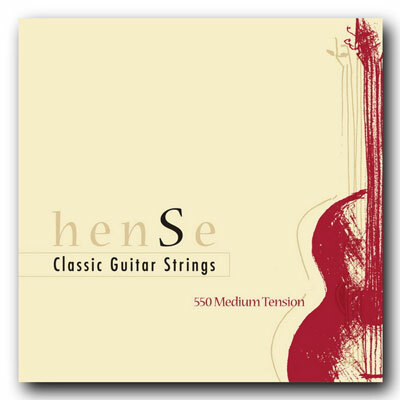 Hense classical guitar strings with high end quality true intonation nylon trebles. Calibrated strings made from the finest materials produce a fluid, powerful tone with great reaction. The Professional Series allows the solo artist to make full use of the sonic possibilities of his or her instrument. The silver plated bass strings (nylon silk core) have a special surface finish that prevents tarnishing and discoloration over time. The strings are spun under tension, so they quickly tune to pitch and settle into tune.